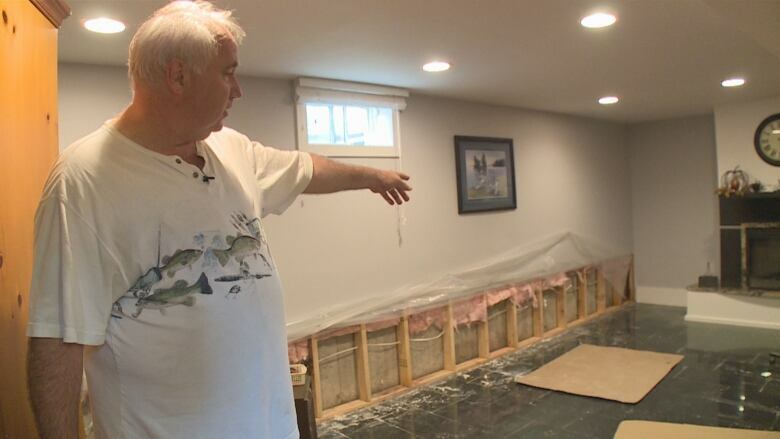 Following a significant amount of rainfall Saturday night, numerous homes in the Kingsbridge subdivison — including homes along McLellan Avenue and Higgins Crescent — ended up with flooded basements. It's not the Thanksgiving weekend some Amherstburg residents had been counting on. "It was hell. 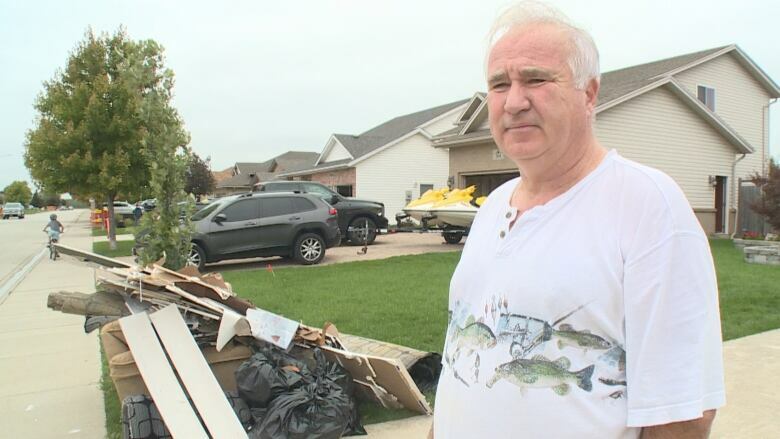 Water hell," said Burk Dahmann, a resident of the neighbourhood who spent his Sunday cleaning up the damage to his newly painted and furnished basement. He and his wife moved in just a year and a half ago. He first realized something was wrong when he looked in his backyard after the downpour and saw that half of his yard was brown. "I just checked the pump and I saw water coming, just starting to flood, and I knew that was it." he said. He explained that he tried to contain it as best as he could, but it was coming in too quickly. "Within minutes, it was eight inches deep." He began moving the furniture upstairs in an attempt to save as much as he could. He salvaged some of his leather furniture and some end tables, but lost a love seat, carpeting, and a dresser he and his wife bought the first year they were married. He also had to dismantle and and take everything out of a home theatre he had set up downstairs. "It was beautiful. Now, it's just, well, just a basement." The most devastating damage was to the numerous family albums and photos dating back to the 1970s. 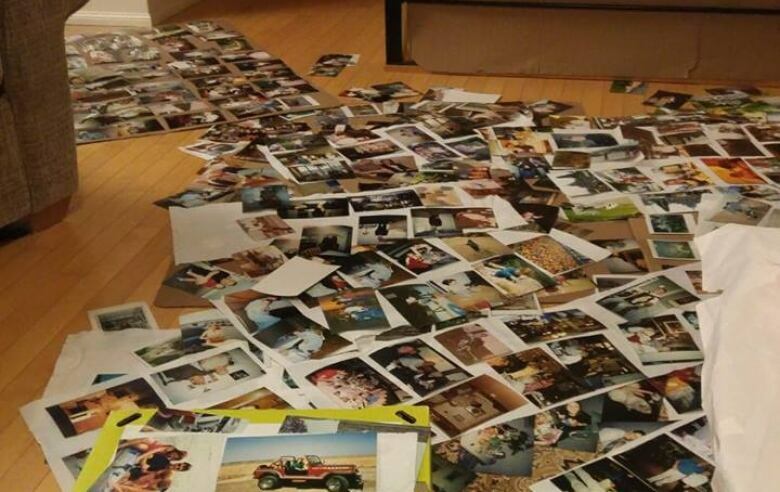 His wife and daughter had collected the thousands of wet photographs and tried to salvage them by laying them out upstairs. "Thousands of them through the whole house, drying each one," he described. "It was bad." The water also filled the streets. "It was like a river down here. People in their floaty toys. It was terrible," he said. "It was kind of chaos. The lid was blowing off over here at the neighbours, the drains were popping out water. The sanitary sewers were backing up, shooting out. There was so much pressure. I [had] never seen anything like it." Mary Ann Rampersaud lives in a different neighbourhood in Amherstburg, but as the co-administrator of the Windsor Essex Storm & Environment Enthusiasts (WE SEE) Facebook group, she heard about the street flooding and went over to take a look. Her group is dedicated to keeping people aware and informed when storms happen. "The streets were entirely covered in the Kingsbridge subdivision. Going up the sloped driveways, about halfway," she described. "Everybody was out watching. Kids were playing in the puddles," she described. She said her husband had water up to the middle of his shins. Dahmann said that by midnight, most of the water had gone from the street, though it continued flowing into his house into the night. A handful of neighbours came to Dahmann's aid throughout the evening. He said that not everyone in the neighbourhood was affected, but that every fourth of fifth home seemed to have been hit. 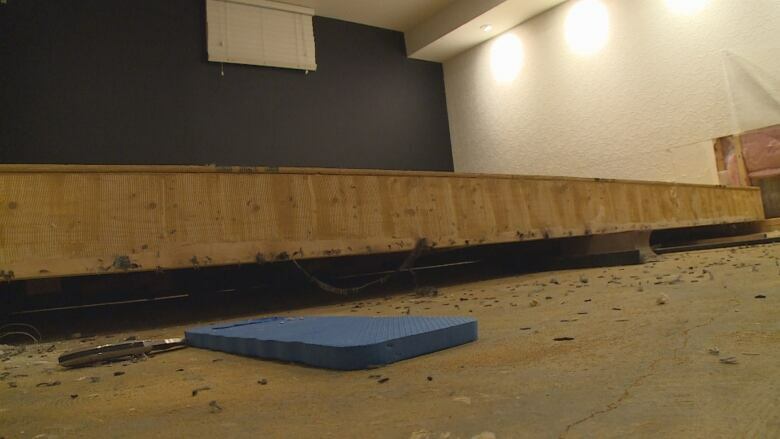 A handful of other residents told CBC News they also had flooded basements, each reporting flooding levels between 2 centimetres and 10 centimetres. They all said they'd never experienced anything like this before. Next, he's going to continue drying out his basement and taking out the rest of the insulation. This week he'll work with his insurance company and get in touch with the township. "I'm going to fix it. I'm going to get it done. I don't want to see it again." Environment Canada reports that Windsor airport got 34.8 millimetres of rain on Saturday. That's a record amount historically for October 6. A representative for the Town of Amherstburg could not be reached on Sunday.